If you are just getting started with AWS Elemental MediaConvert or are experimenting with the MediaConvert console, you might want to pause your queues to avoid accidentally starting a job before you're ready. For more information about queues, see Working with Queues. Sign in to the AWS Management Console and open the AWS Elemental MediaConvert console at https://console.aws.amazon.com/mediaconvert. 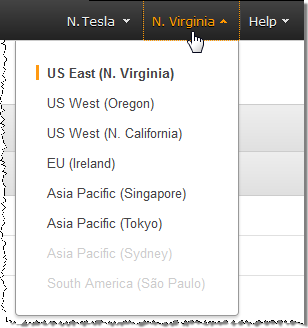 If you are pausing or reactivating a queue other than the default queue, on the navigation bar of the AWS Elemental MediaConvert console, choose the Region where you created the queue. The default queue is available in all Regions. Other queues appear only in the Region where you create them. Choose the three-bar icon on the left to access the left navigation pane. On the Queues page, choose the name of the queue that you want to pause or reactivate. On the queue’s page, choose the Edit queue button. On the Edit queue page, for Status, choose Paused or Active.